This spring the state of Colorado has agreed to put a proposition on the November election ballot that would decriminalize the private use of marijuana. Shortly after the announcement, who was among the first to endorse the proposal? You guessed it, Pat Robertson. He told the New York Times, “It’s completely out of control, prisons are being overcrowded with juvenile offenders having to do with drugs. And the penalties, the maximums, some of them could get 10 years for possession of a joint of marijuana. …It makes no sense at all. I really believe we should treat marijuana the way we treat beverage alcohol.” …“I’ve never used marijuana and I don’t intend to, but it’s just one of those things that I think: this war on drugs just hasn’t succeeded.” http://www.nytimes.com/2012/03/08/us/pat-robertson-backs-legalizing-marijuana.html The uber right wing Robertson, who once ran for the Presidential nomination of the Republican party, has now become the hero of the pot smoking, tree hugging, granola eating left. It is so ironic that you have to at least see the humour in it. First off, the good preacher has his facts wrong on the penalty for possession. The maximum sentence for a first time offender is one year, and even a three time loser could get up to 3 years. But one rarely gets that. Actual sentences are usually a fine and/or up to 30 days in jail. 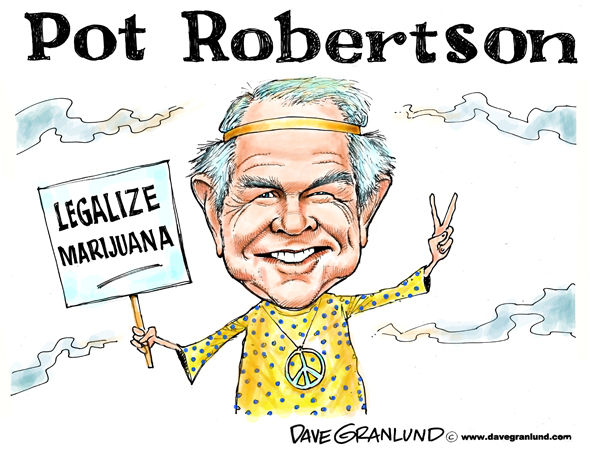 What is of real interest to me is Robertson’s solution – to treat marijuana the same way we treat beverage alcohol. Yes, that model has been a real winner. It is impossible to calculate the extraordinary ‘human cost’ of alcohol every year; namely the number of jobs that are lost, productivity that is wasted, marriages that have failed, children that are abused, students that are raped, drivers that are killed… goodness the list goes on and on. I know we can not turn back the clock and go back to the days of prohibition. Alcohol has become as much a part of our culture as food. I just don’t think we are being honest about what a devastating effect it has on our society. Why on earth would we want to create another monster that we cannot tame? The Dutch experiment has proven exactly that. Following Holland’s decriminalization of the possession of cannabis, use went up 300%. (15% to 45%) The long term societal effect is not hard to determine now that we have years of relaxed marijuana laws in places like Amsterdam. The city boasts 730 coffee shops, where customers can buy herbal cannabis or hashish without fear of arrest. Millions of tourists flock to the city every year to enjoy a legal high. 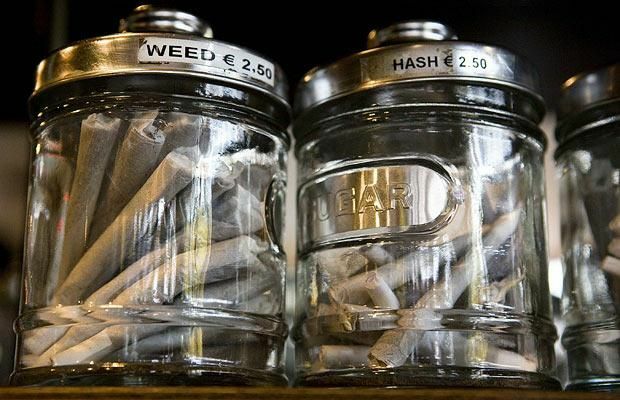 The Dutch government loves it too as they collect more than 300 million euros in tax annually from the ‘coffee shops’ alone. If it sounds eerily like a druggie’s Las Vegas, then you are reading this right. And like Vegas the profits to be made from marijuana have attracted organized crime. Holland is no longer known for growing tulips, cannabis is the cash crop of choice. Dutch police believe that the underground cannabis growing cottage industry has now become one of their nation’s biggest earners of foreign currency, worth an estimated 2.7 billion euros in total – about half as much as Holland’s legitimate horticultural business. Organized crime has moved in with strong armed violence to take control of the industry. Max Daniel, Holland’s police commissioner responsible for cannabis, calls it a danger to Dutch society. “There is now so much money to be made that cannabis is sucking in organised crime gangs from abroad and corrupting legitimate businesspeople – especially lawyers, estate agents and bankers. Money laundering is a massive enterprise, and it is bringing together white-collar professionals and the kind of criminals who deal with heroin, prostitutes and people-smuggling.” Daniel laments, “Cannabis is a threat to our democracy.” Some law enforcement officials are recommending closing down the ‘coffee shops’. Their cries are falling on deaf ears as the public has come to enjoy their little vice and government has come to be dependent on their big tax and tourism revenues. 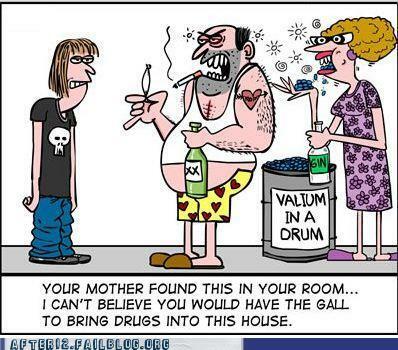 Police are now spending one third of their time dealing with drug related crime. Sorry Pat, but it hardly sounds like a solution to overcrowded prisons. 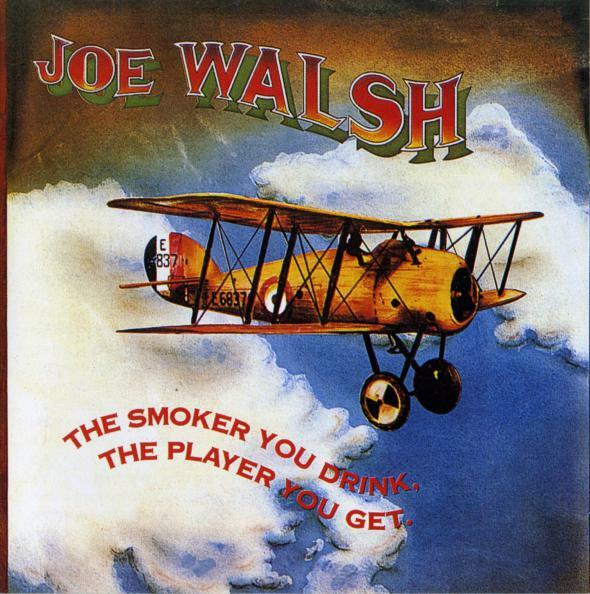 You would need to be closer to my age to remember Joe Walsh’s great album The Smoker You Drink The Player You Get. The convoluted title’s message was clear, the more pot you smoke, the stupider you get. They do call it ‘dope’ for a reason. My question is why is a high profile preacher of the gospel suggesting that we solve a justice problem by opening the door even wider to a world of drugs, organized crime and sin? . He says he has never smoked marijuana. I believe him, so then what is Pat Robertson’s excuse?